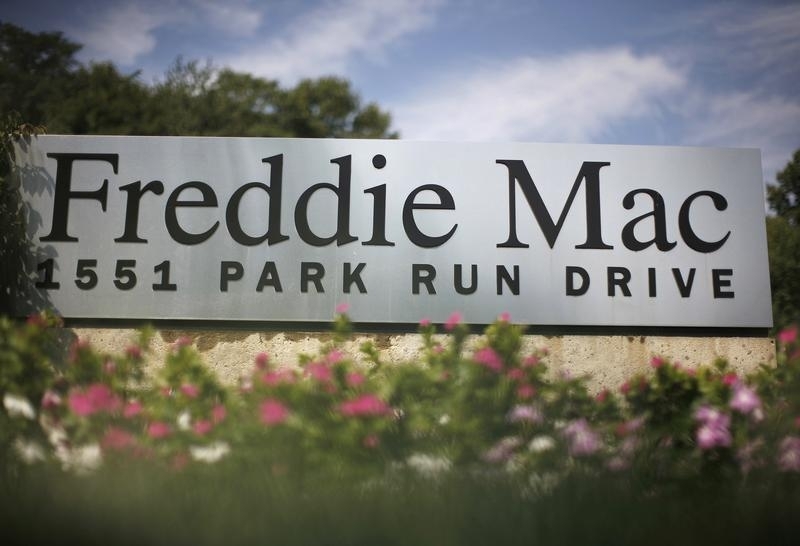 The U.S. election has resurrected the fiasco of how to fix Fannie Mae and Freddie Mac. Shares of the two bailed-out mortgage agencies have rocketed over the past two weeks on hopes that the Trump administration might end government oversight. Big political roadblocks remain, though. Fannie and Freddie, which buy or guarantee home loans, needed $188 billion of taxpayer aid in the 2008 financial crisis and were placed under government conservatorship. Debates about whether to reduce their role went nowhere because they play a large role in the 30 year mortgage market. Allowing them to shake off their government training wheels is a long way off. Even House Financial Services Chairman Jeb Hensarling reckons his plan to do so is a long shot. Worries about hurting the housing market, and in turn angering voters, are strong enough that some Republican lawmakers would probably join their Democratic rivals in opposing any such attempt. There is one relatively easy tweak, though, that could please most sides: allowing Fannie and Freddie to keep their earnings. Since 2012 they have been forced to hand over all profit as dividends to the U.S. Treasury. So far, they have sent $256 billion, none of which counts towards repaying the bailout. That would allow them to rebuild their capital. They currently have just $600 million each set aside against a total of $5 trillion of loans on their books – and that is scheduled to hit zero in 2018. That raises the embarrassing prospect of one or both of them having to go cap in hand to Uncle Sam for another bailout in even a mild housing downturn. Avoiding that ought to appeal to lawmakers. Bill Ackman, John Paulson and other hedge fund managers who bought Fannie and Freddie stock after the crash have been pushing for this for some time, too – including in the courts. Trump’s ascendancy to the White House has emboldened them, not least because former Goldman Sachs partner Steven Mnuchin, who is a leading candidate to become Treasury Secretary, was a co-investor with Paulson in mortgage lender IndyMac, recapitalizing it after its 2008 collapse and selling it last year to CIT. Ending Fannie and Freddie’s status as an ATM for Uncle Sam would still leave their bailout unpaid and their future status unresolved. But it would be a smart first step. The headquarters of mortgage lender Freddie Mac is seen in Mclean, Virginia, near Washington, September 8, 2008. By early trading on Nov. 22, shares of housing finance firm Fannie Mae had increased by more than 90 percent since the U.S. presidential and congressional elections on Nov. 8. Shares of sister organization Freddie Mac jumped by about 97 percent over the same period. Investors are hoping the new administration under President-elect Donald Trump will end the conservatorship of the two firms, which have been overseen by the U.S. government since the 2008 financial crisis. Between them, Fannie and Freddie received a $187.5 billion bailout and by the end of 2016 will have paid a total of nearly $256 billion in dividends to the Treasury. Those funds do not count as repaying the bailout. In 2012 Fannie Mae and Freddie Mac were ordered to hand over any profit to the Treasury. Their capital buffers will drop to $600 million in 2017 before reaching zero in 2018.